Now you may have seen our Bath Adventure post a few weeks ago and so I thought I would make the shop Fashion Fabrics, we saw there one of my hidden treasures, as it really was a treasure trove of goodies. 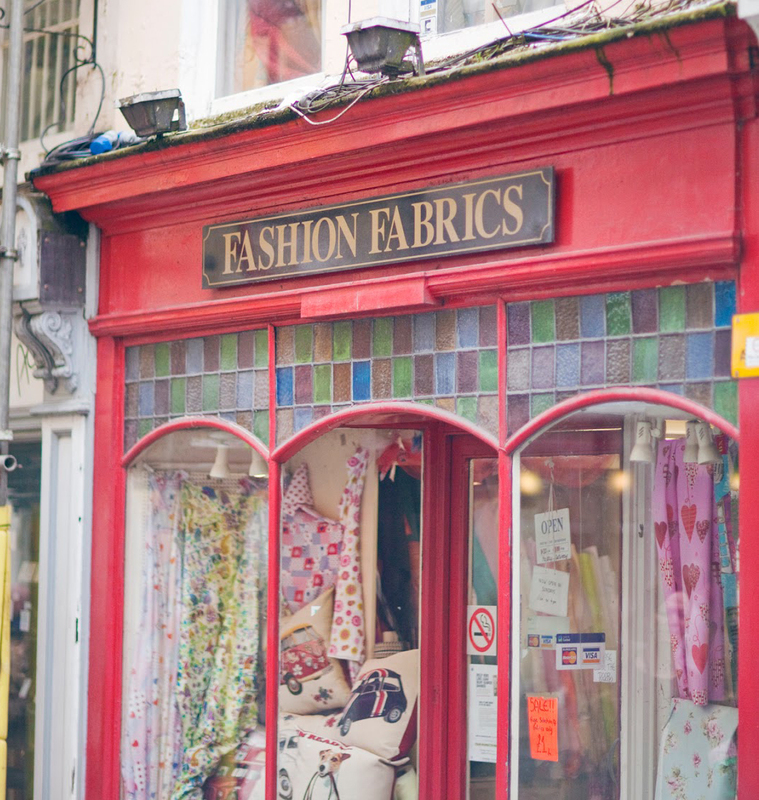 The Fashion Fabrics shop is on Green Street, just off the old part of the main shopping street and so very close to everything else you could need from a shopping trip to the big City of Bath. The shop itself is filled to the rafters - literally with fabric. From cottons and linens to tweed and Jersey, just about every fabric you need for your projects. This place has been family run since 1955 and in Bath since 1969 and so has seen plenty of changes over the years. I definitely recommend a visit as you can find some real gems. H found some Vintage Tweed for a winter skirt and Sammy found some bright cotton for a summer dress, amongst many other fabrics! If you do visit, let us know in the comments below. Any other hidden treasures out there near you? Let us know and we can take a trip!